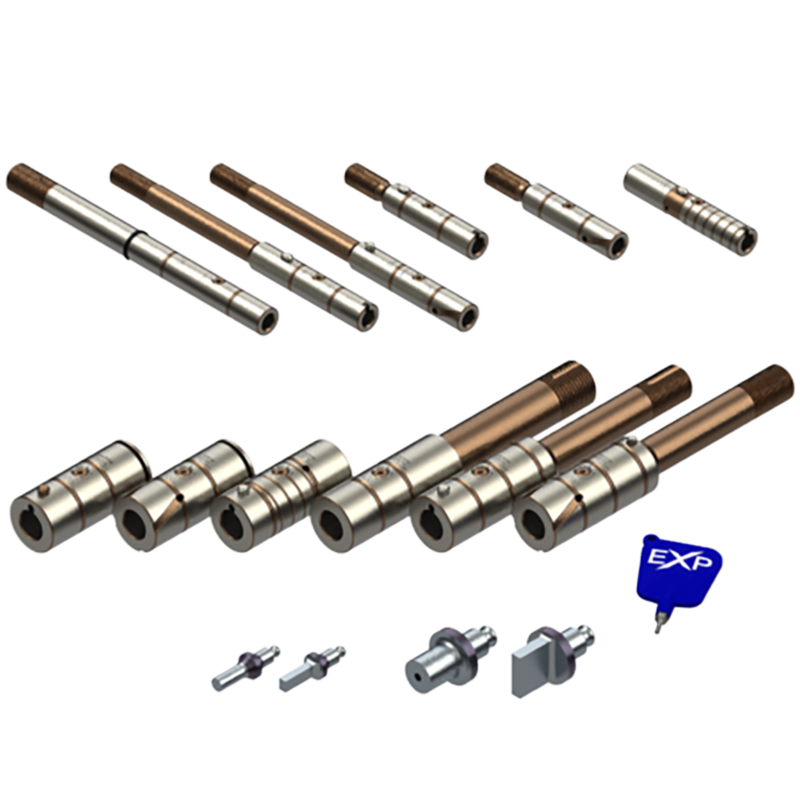 EXP® punch technology from Wilson Tool is the first tooling in the industry to offer a standard holder with truly universal punches. This innovative product increases your productivity, reduces manufacturing waste, saves storage space while delivering the same performance, grind life and durability as Wilson Tool’s HP punch press tooling at a lower cost. Every EXP® punch comes standard with Wilson Tool’s exclusive Ultima® premium tool steel resulting in twice the tool life as most standard punches. EXP® punch technology is available for Metric and Wilson style HPX® assemblies for thick turret tooling, Wilson Style HPX® assemblies for FAB/thin turret tooling, A & B Station Ultra™ and MTX Multi-tools.